Utilizing advanced LED technology, the ProBEAM® LED turn signals maximize performance with a unique reflector technology and automotive grade LEDs composed into a sealed unit for superior reliability. Building upon our famous Dynamic Ringz™, ProBEAM® turn signals utilize automotive grade LEDs to produce an even brighter light output with wider viewing angle. The outer ring of 24 white ProBEAM® LEDs showcase a smooth white halo that functions as the running light while 12 center amber LEDs function as the turn signal. When a turn signal is activated the White LEDs turn completely off for the entire turn signal cycle providing greater visibility to the amber turn signal. ProBEAM® Turn Signals include smoked lenses, are DOT and SAE Compliant and backed by the Custom Dynamics® Lifetime LED Warranty. Sold as a Pair. ProBEAM® Amber/White Front Turn Signals are DOT and SAE compliant when used with ProBEAM® Smoke Lenses. Plug & Play 2016-2019 Harley-Davidson® Street Glide CVO™ (FLHXSE), Limited CVO™ (FLHTKSE), 2016 Road Glide Ultra CVO™ (FLTRUSE), 2018-2019 Road Glide CVO™ (FLTRXSE) and 2016-2017 Pro Street Breakout CVO™ (FXSE). Signal Stabilizer™ or Load Equalizer NOT required on these BCM models. Add a sleek ProBEAM® Bullet Bezel for a custom finish. ProBEAM® Amber/White Dynamic Ringz™ also available for non-CVO™ US Models with front 1157 front turn signals. Rear LED Turn Signals and complete Complete ProBEAM® Turn Signal Kits also available. ProBEAM® LED Low Profile or Squareback Taillights add a modern light pipe design to your bike. As the authority on LED Turn Signals, we decided to run a few comparison tests! See how our BRAND NEW ProBEAM® LED turn signals measured up against the competition! 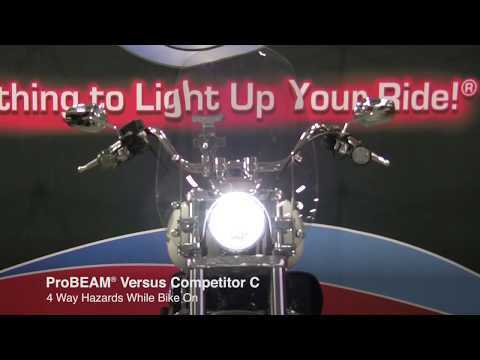 ProBEAM®: the first light pipe product line for motorcycles! 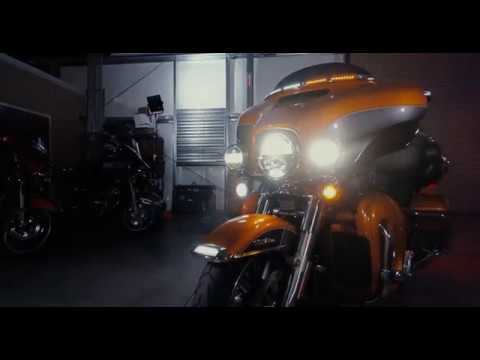 Custom Dynamics® unveils ProBEAM®: the first LED Light Pipe product line for motorcycles! The premium product line is superior in every way: made from the highest quality automotive grade LEDs, DOT, SAE and ECE compliant with a Lifetime LED Warranty.